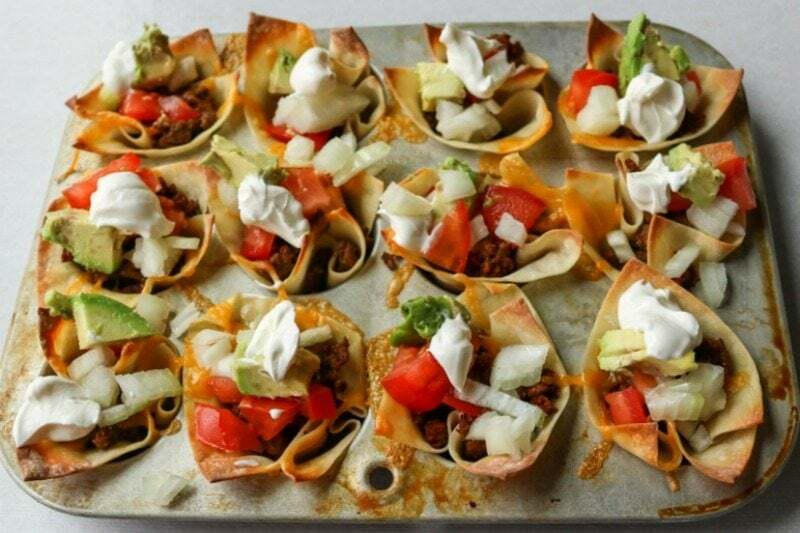 Wonton Taco Cups: Wonton wrappers are baked into little cups and then stuffed with taco meat and cheese and topped like any taco. A perfect party treat. Plus a round-up of recipes perfect for Football Viewing! There is going to be a party at my house this weekend. And a party means FOOD! And Mexican Food, well, who does not love that! 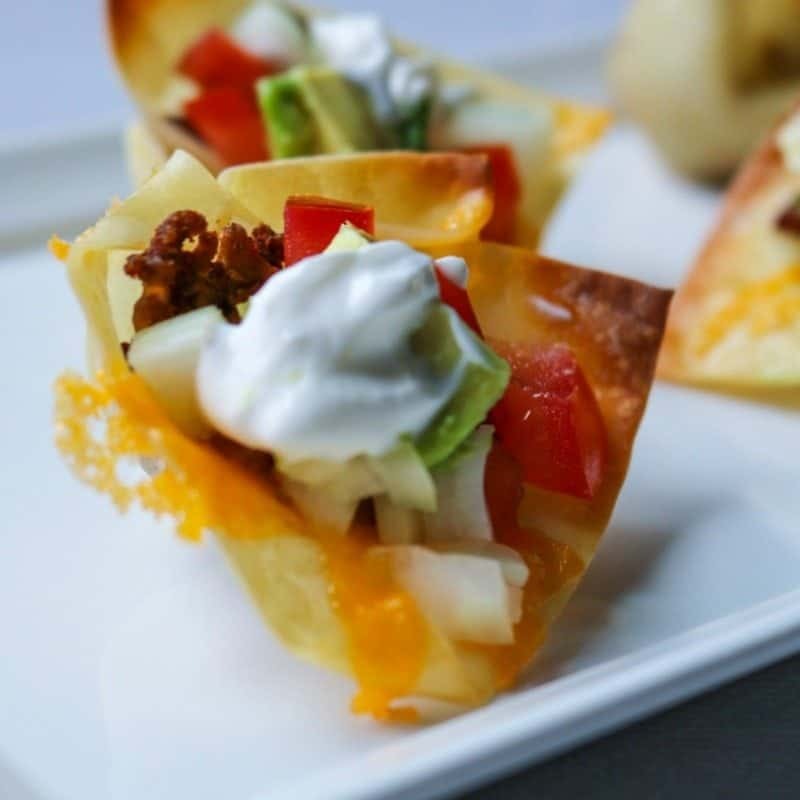 And these mini taco cups are fun–easy, and loved by everyone! Easy. I have to clean my house for the party, I don’t need to have days of food prep. Can be made ahead. 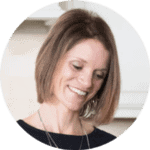 I want to visit with my guests, not be stuck in the kitchen! 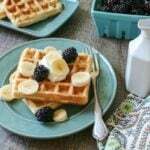 Customizable: Start with one or two base items that can be topped in a variety of ways so that everyone will find something to enjoy. Wonton Cups fit the bill for each and every party! And EVERYONE loves them–always! These cute little cups look elegant and fancy and like I put so much effort into them, but guess what? They were a breeze to make! 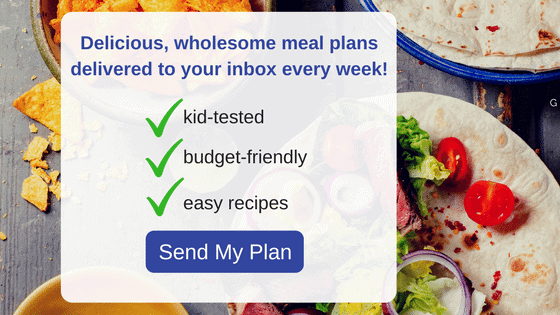 Everyone will think that I slaved in the kitchen to make these fancy little appetizers–so not the case! For these shells, I sprayed a mini cupcake pan with non-stick spray and then carefully folded wonton wrappers into the mold. (For Gluten-free, cut corn tortillas to fit in cupcake tin.) Bake for 10 minutes at 350 until lightly browned. I filled the shells with ground beef seasoned with my homemade taco seasoning, but seasoned beans, refried beans, chicken, lentils, etc would work fine. Then I topped the meat with cheese and popped back into the oven. Let the fun begin. Guacamole, diced tomatoes, onions, cilantro, sour cream, olives, salsa, queso–whatever your heart desires! A great ideas is to set out a bar of your favorite taco toppings and let guests customize. Step 4: Devour and party on with your friends. 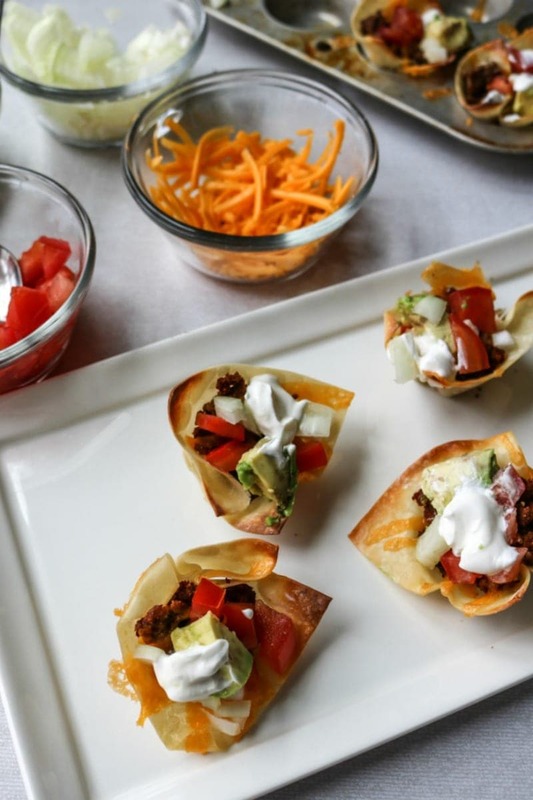 Wonton cups are baked and then filled with taco fillings for a perfect mini taco bite. 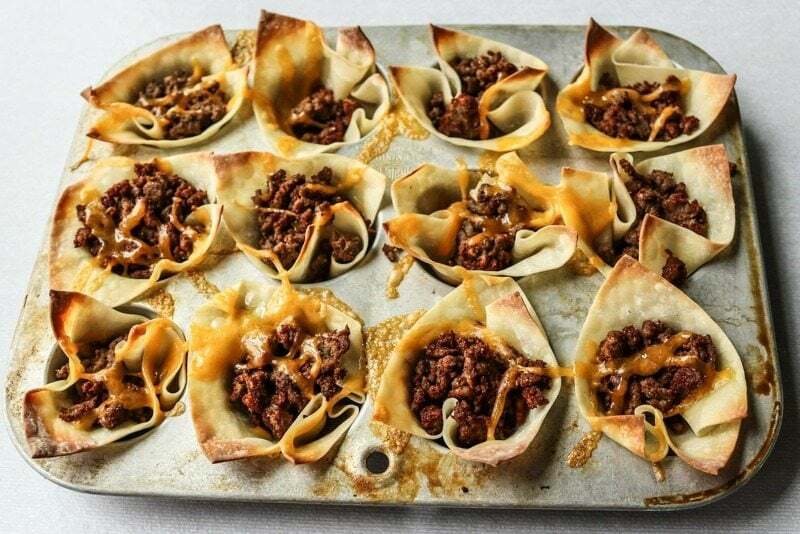 Shape wonton wrappers in mini-cupcake liners and bake for 8-10 minutes or until browned. While wrappers are baking, cook ground meat and taco seasoning over medium high heat until meat is cooked through. Scoop 1 tablespoon of meat mixture into each wonton cup. Top with cheese and return to oven 4-5 minutes, or until cheese is melted. 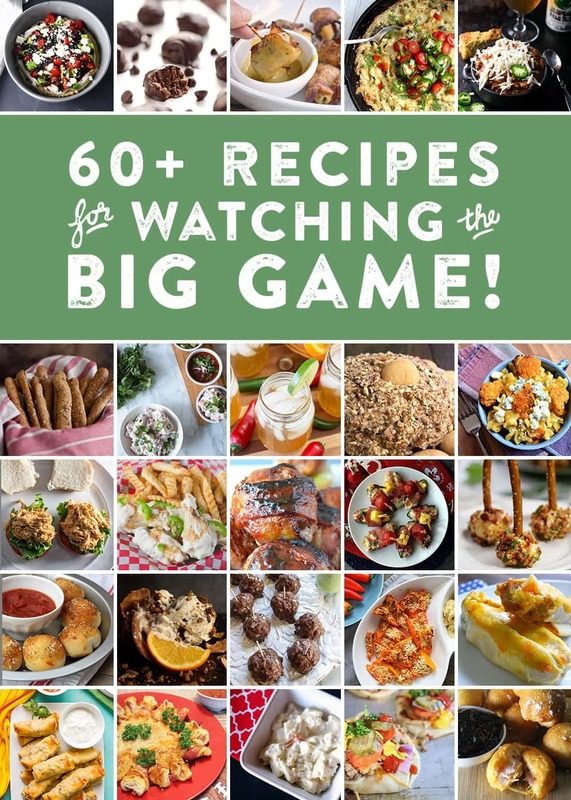 For more recipes that will make you want to high-five and chest-bump each other regardless of how your team is doing, check out this line-up of Big-Game Day Eats from a few of my friends. Thanks Anita! They are super fun to make too! Thank you for this attractive bites. Will be back for more ! My husband ABSOLUTELY LOVED these!